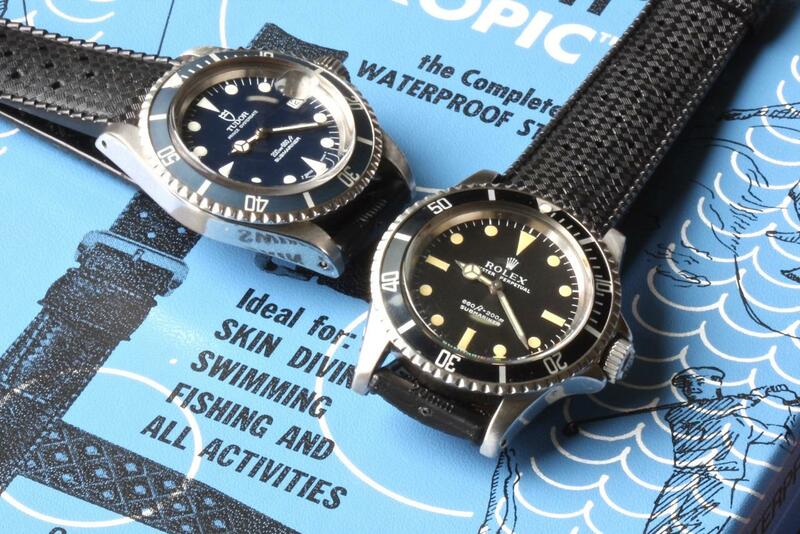 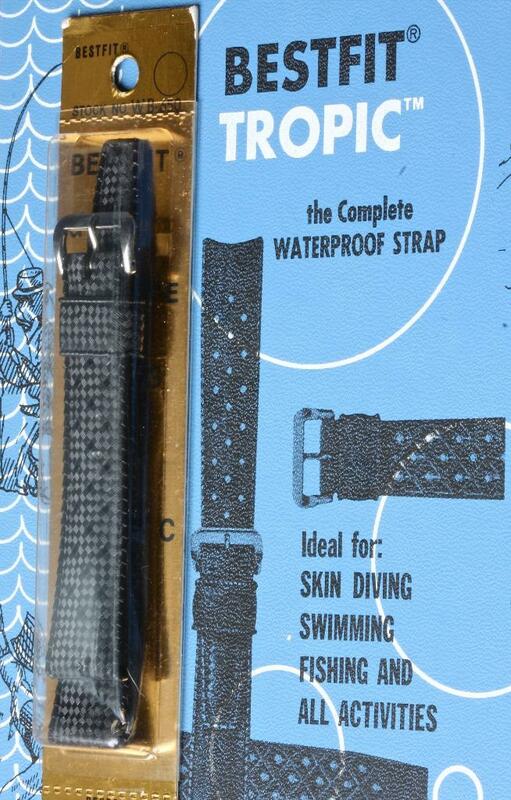 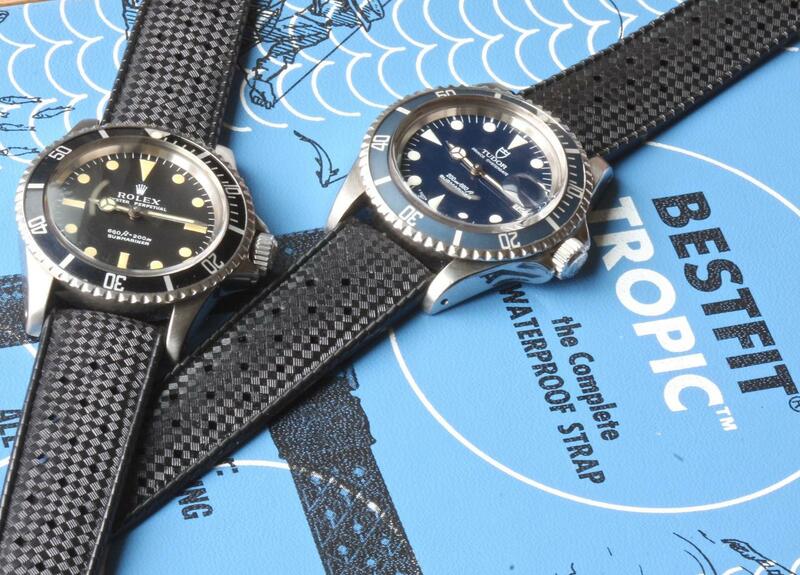 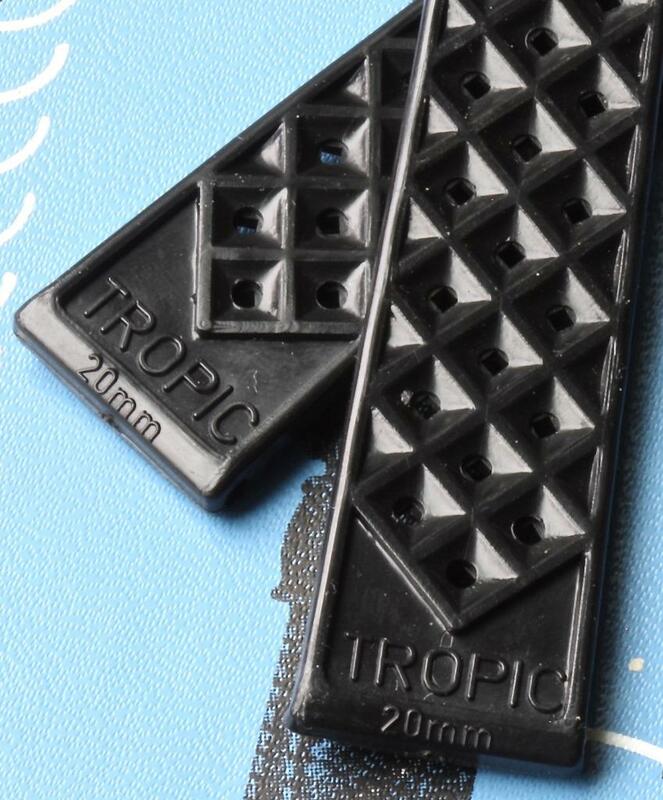 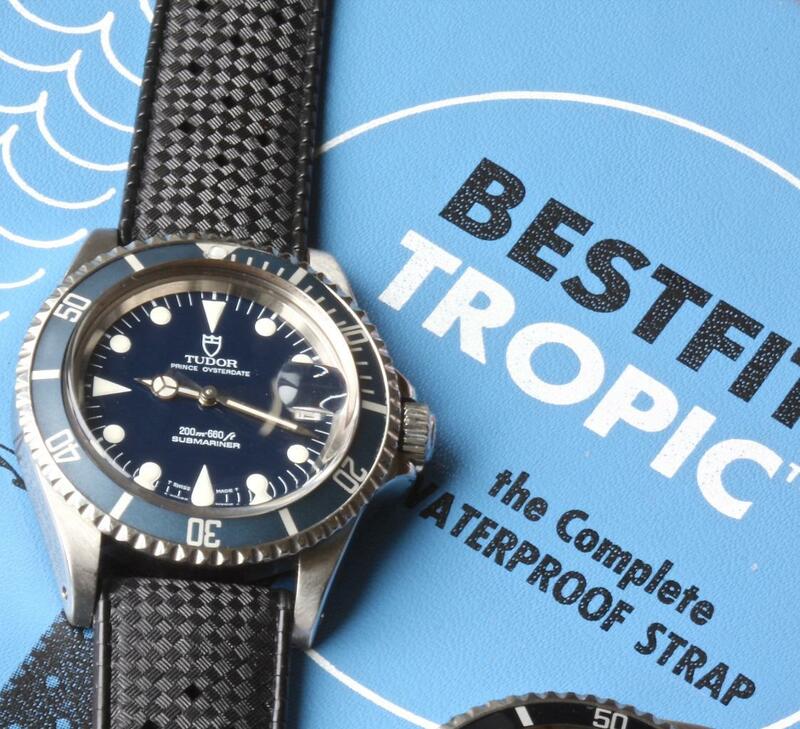 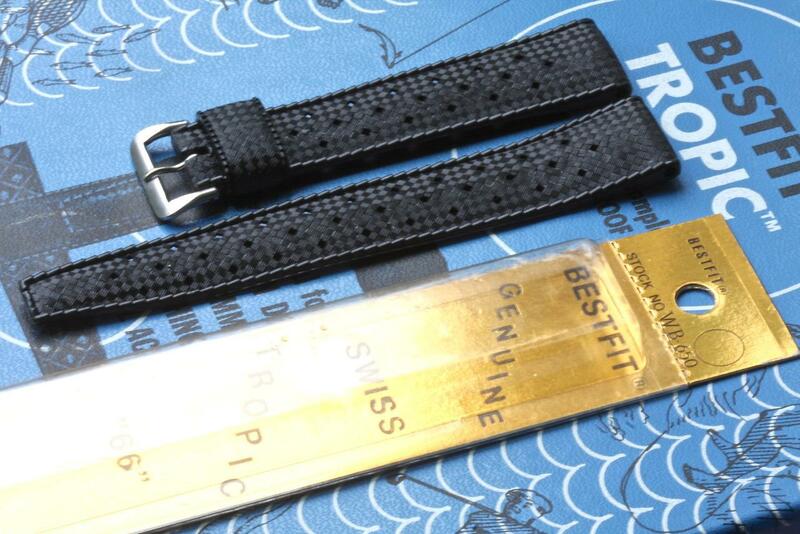 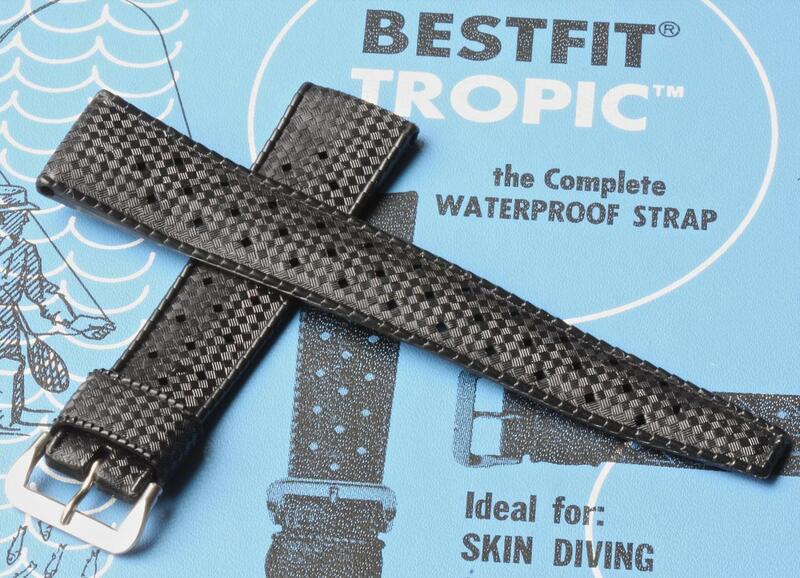 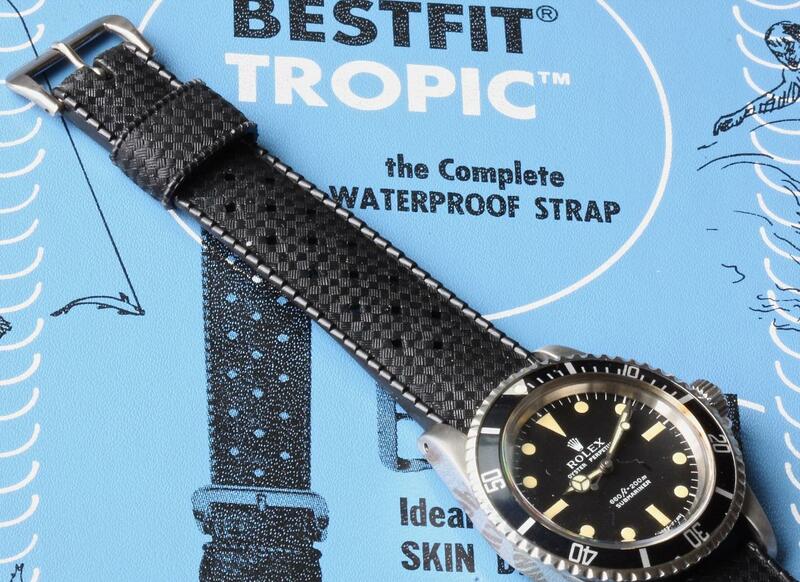 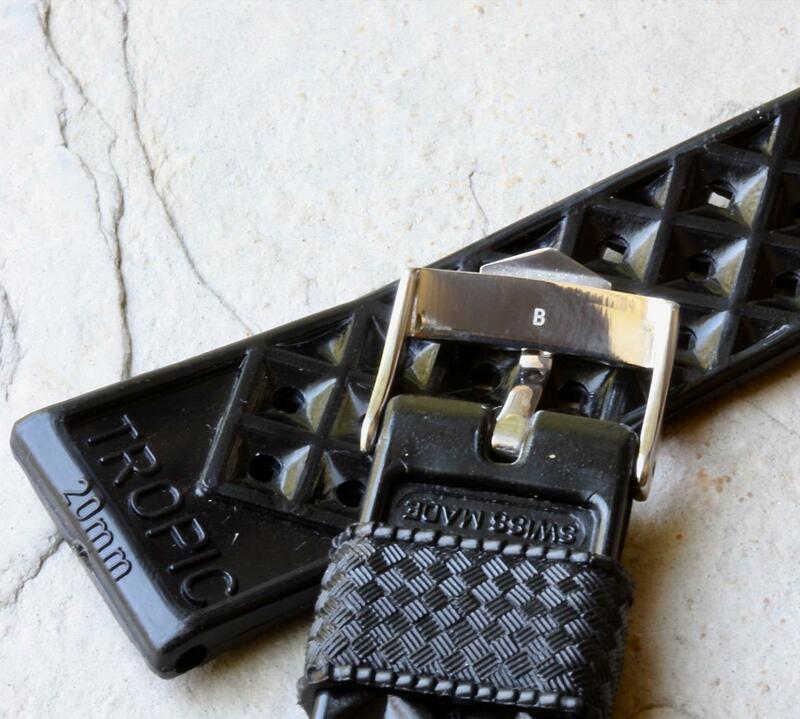 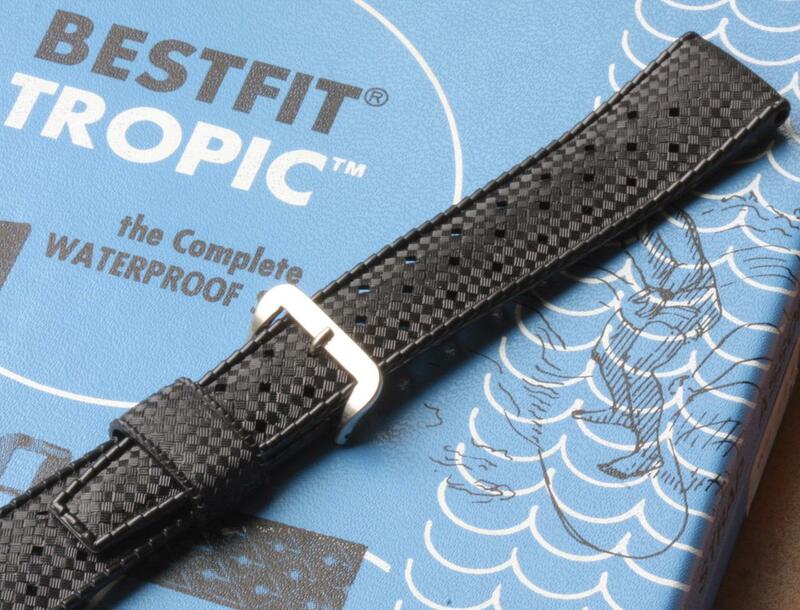 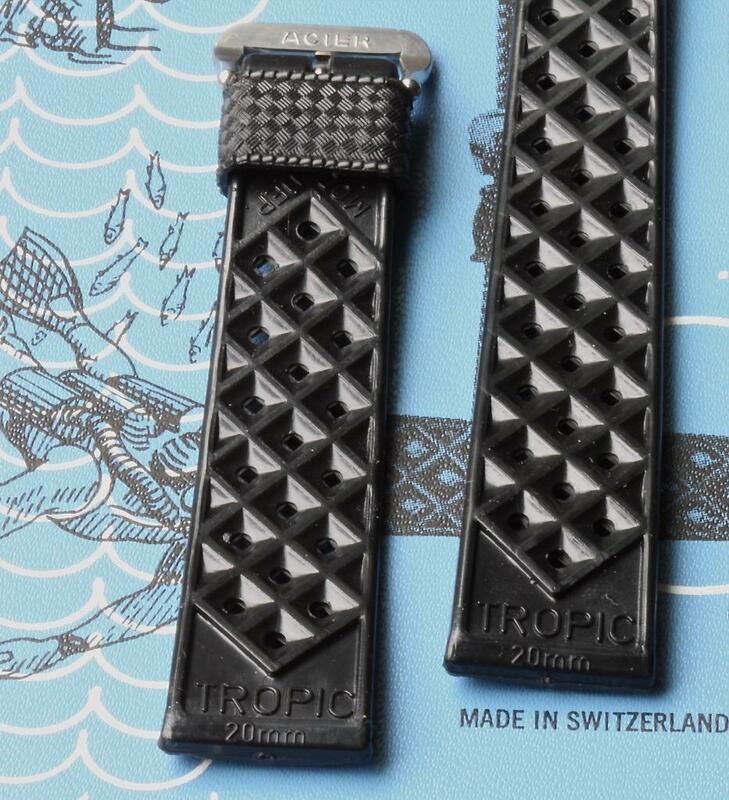 I sell more Swiss Tropic vintage NOS dive bands than anyone else, and this size and style is one of the most difficult to source: Straight ends 20mm Swiss signed Tropic fully perforated, waffle-finish band in New Old Stock. 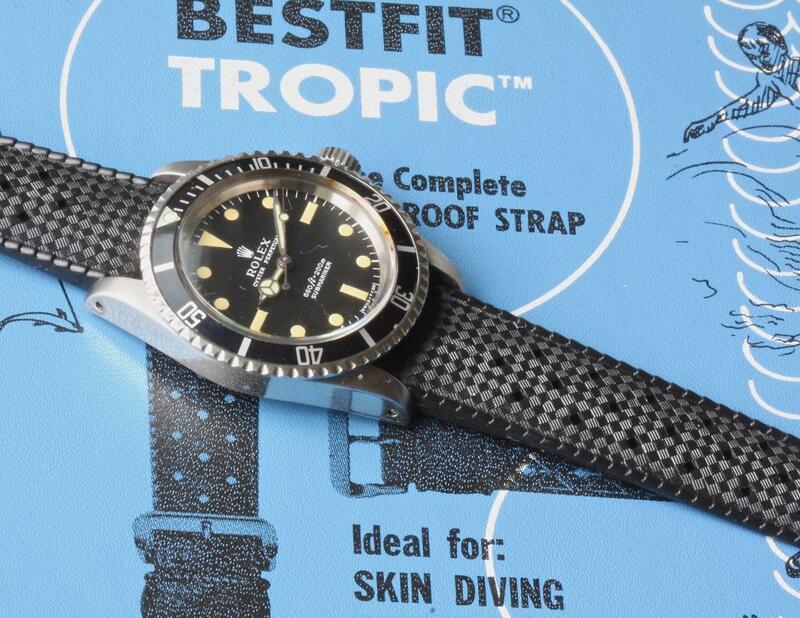 This is the EXACT band the Rolex AD would have put on your vintage Sub or GMT-Master back in the 1960s/70s originally, if you asked for the watch on a rubber dive strap. 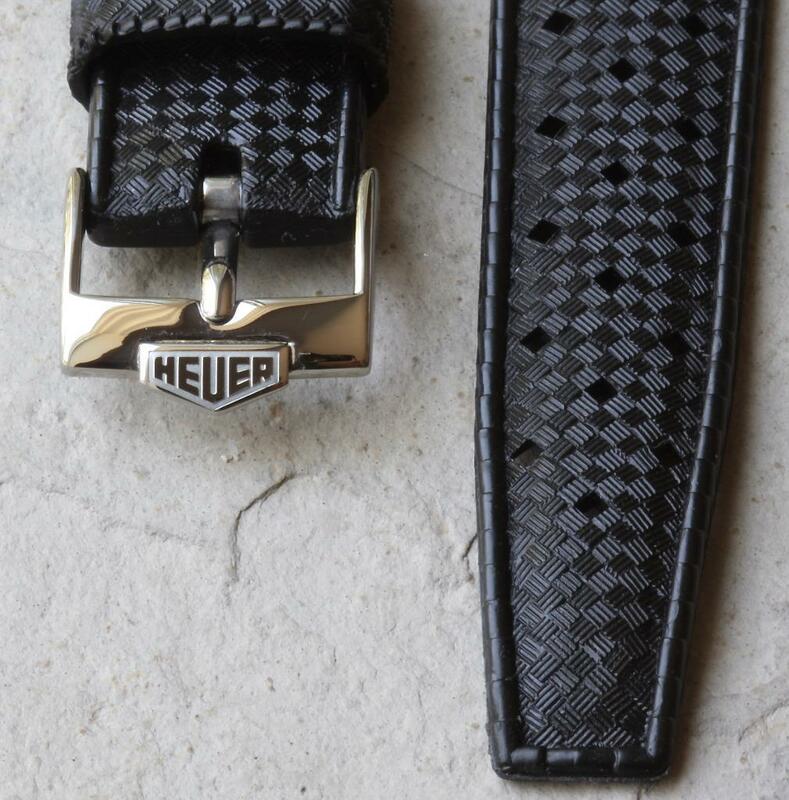 Also available here with a steel Heuer reissue buckle installed if you want it for one of the many vintage 20mm Heuer chronograph models.